Set in a historic building from the 19th century (with the iconic Bear and Bull statues in front), the 400-year old Deutsche Börse welcomes visitors to the daily business of money. Take part in guided tours and then watch the bustling trading floor of the third largest trading exchange in the world. Don’t forget to make reservations (at least one day in advance) and bring your ID. The Römerberg ("Roman Mountain") is the historic heart of Frankfurt. It is home to the City Hall (called Römer), which dates back to 1405. Flanked by half-timbered houses, this historic square used to be the place for Frankfurt's first trade fairs in the 13th century. Although most of the Römerberg was destroyed in the Second World War, the historical buildings in this square were reconstructed to their original splendor. While there, take a peek into the adjacent street, Saalgasse (across from the Historical Museum). The postmodern colorful houses create an interesting contrast to the reconstructed historical center. Frankfurt's Gothic Dom St. Bartholomaus was erected in the 14th and 15th century and is one of the oldest and most important churches in Frankfurt. German kings have been elected here since 1356. You can visit a museum, set in the medieval cloister, that shows exhibits from the cathedral’s treasury. If you are up for it, climb 324 stairs to the top of the church tower where you’ll be rewarded with sweeping vistas of Frankfurt (note that the church tower only open in summer). Take a walk through Frankfurt’s Höchst neighborhood, located in the west of the city. It is set on the banks of the river Main where you’ll find the beautiful old town filled with half timbered houses, city gates, towers, and winding medieval streets. Highlights of the Höchst district are the Höchster Schloß (Höchst Castle), which was the former residence of the archbishop of Mainz, and the Baroque Bolongaro Palace with its royal park. If you are here in June and July, come for the annual Höchster Schlossfest with music and special events. Every last Saturday of the month, admission to many of Frankfurt’s museums is free. During “Satourday”, museums and galleries offer guided tours, special events, and workshops for kids and families. Find participating museums that offer free admission at Satourday Family Program. Take a walk along the river Main which runs through Frankfurt's city center and is lined on both sides by some of best museums in the country. Among them, the superb German Film Museum and the fine art Städel Museum, which focuses on the old masters. This area is called Museumsufer (Museum embankment) and on Saturday mornings, you can hunt here for treasures at Frankfurt's largest flea market (until noon). The Waldspielpark is a great destination for the whole family. It is a large adventure playground set in a wonderful park, complete with a shallow pool and a nature maze for young kids. Bring a grill to cook, or play beach volleyball in the sand. Adults can climb the nearby Goetheturm, which was built in 1931 and is one of the highest wooden viewing towers in Germany. 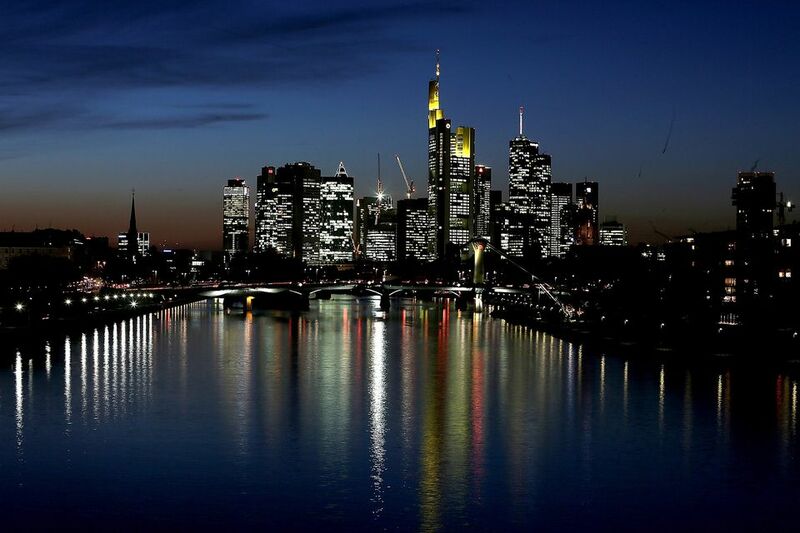 The view of the Frankfurt skyline is fantastic from up there. Paulskirche or St. Pauls' Church, built between 1789 and 1833, is the cradle of German democracy. The church was used for political meetings and became the seat of the first freely elected German parliament in 1848. Today, Paulskirche houses an exhibition dedicated to the history of democracy in Germany and is used for special events. Every spring, Frankfurt celebrates its annual spring fair, Dippemess. It is one of the largest spring folk festivals in the Rhine region. The fair dates back to the 14th century, when it was a medieval market for pottery, especially ceramic bowls and pots (called "Dibbes" in the Frankfurt dialect). Today, the spring fair is well known for rides, roller coasters, and fireworks and is a great event for young and old.